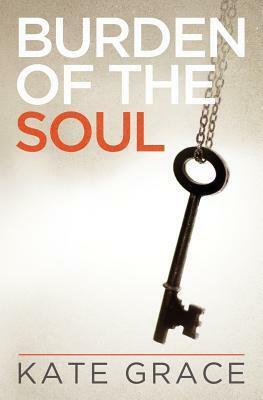 Burden of the Soul review and giveaway | What YA Reading? Clara never asked to be special. She was perfectly happy e-stalking her crush’s blog, avoiding the attention of the Bronze Brigade clique at school, awaiting the next visit from her avant-garde Aunt Grace, and dreaming of a strange young man … who feels too real to be only a dream. But then one day, her world literally separates at the seams, as a blinding light rips her mother away right before her eyes. In one, inexplicable moment, Clara is tugged from a life where her biggest worry is how to avoid social scrutiny to having the burden of her mother’s disappearance and her father’s subsequent unhappiness hoisted squarely onto her shoulders. Burden of the Soul grapples not only with the battle between Good and Evil, and Action and Complacency, but pits its unlikely heroine squarely against herself. Half of Clara is an ancient soul who made a promise to fight a war, the other half is an adolescent girl who never asked to be special. Welcome to our self-published palooza! Every week of the summer, I’ll be reviewing and hosting a giveaway of a self-published book. To kick start this event, we have Burden of the Soul by Kate Grace, a fun and unique debut to a series about an ordinary girl with an extraordinary destiny. Is it wrong of me to say that I enjoyed Burden of the Soul not for the sarcastic nature of its characters or for its amazing setting, but for the escape this novel became? Kate Grace’s characters may not be deepest, and her romancing may be a little far-fetched, but I find this book to be utterly delightful because of its escapist concept and fun and unique ideas. The whole soul mate thing has been done before, but Twin Flames? I’ve never heard of that. Grace’s idea of the Other Side, along with that of its members, is also a fresh addition to an overly-wrought notion. However, I feel as though the first hundred pages of this book were not only unneeded plot-wise, but derogatory to the complete novel because they involved so many typos and grammatical errors. Kate could easily have condensed every event in this section of Burden of the Soul to one fifth of its length and created a much lighter and easier read. This being said, after its first hundred pages, Burden of the Soul picked up the pace and grew into an intense page-turner. A few key elements were finally explained, which led me to really appreciate Burden of the Soul‘s original concept. The writing became clearer and the annoying typos thinned out. It’s important to note that most self-published books will contain typos, and they will include grammatical errors, and it’s wrong to expect them not to because these books have no editors. That’s fine with me. As for the characters, I had quite a hard time relating to Clara. Miss Grace really tried to portray her as an average teenager girl, and I get that. However, most teenage girls don’t strive to be mediocre. They don’t make every attempt to stay out of their high school’s social scene. And they most certainly do not separate their split ends for fun. Grossness. Again, after the first third of Burden of the Soul, Clara pulled her act together and became the stronger heroine who most of this book’s reviewers praise. She did make a few stupid mistakes, but… don’t we all? The truth is that I couldn’t care less which angle of Burden of the Soul‘s love triangle Clara ends up choosing. Both guys seem great and supportive and loving. However, we never really discover any defining qualities attributed to the two potential boyfriends—other than someone’s love for music and a certain United Kingdom accent—but we never discover any negative qualities either. So. I guess this point is moot. I wish that these characters had been more fully developed and rounded, but, again, I really appreciate Burden of the Soul’s romance without that. My favourite character is actually Clara’s aunt Grace. She’s spunky, hilarious, and humiliates Clara in the most enjoyable of ways. I’m glad that we were able to discover some of her history towards the end of the novel, and can’t wait to see more of her in the next installment. I’m conflicted when it comes to Burden of the Soul’s ending. I really didn’t see it coming, nor do I understand why it did. It provided a lot of information crucial to this book’s world building, and the change in narration was awesome. Nonetheless, the events seemed really random, coming to place without an apparent cause and being cut off before having the chance to display any consequences. Many loose ends were left untied, which is a good thing if you like cliff-hangers—but not so great if you don’t. I don’t. In any case, I really have to hand it to Miss Grace for publishing paperback copies of her book. I’ve found that in the self-publishing industry, this rare, but I really, really appreciate it. As you may have guessed, I’m not the biggest fan of eReaders. Overall, Burden of the Soul merits 3.6/5 stars. For fans of originality, hilarious aunts, and typos. But on to the giveaway! You have until Friday to enter. Good luck to you all! I am all for giving self published books a chance. 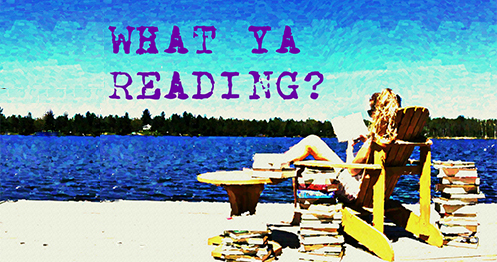 Pingback: Author Interview with Kate Grace | What YA Reading?